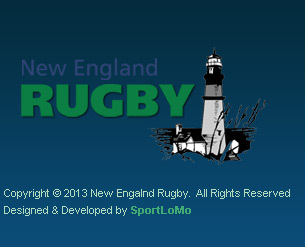 The Lighthouse 7s tournament is the Northeast Qualifier for the 2018 NSCRO 7s Championships. The tournament is being administered by NERFU and hosted by Babson College on April 21st and 22nd. Any questions concerning the tournament should be directed to NERFU Executive Director of 7s John McGeachy. Any club who is not participating in the NERFU Spring 7s Series must register using this site in order to attend the qualifier. NERFU clubs taking part in the Spring 7s Series will qualify for the tournament by virtue of their standing at the conclusion of the series on April 14th. Clubs wishing to register for the Lighthouse 7s should complete both the PAYMENT and REGISTRATION sections below. Clubs should also be prepared to submit their Player Eligibility Verification (PEV) form by April 7th. This form and other NSCRO 7s qualifier policies, procedures and checklists can be found on their "Form" page under the "NSCRO 7s Forms" tab. There is a $350 tournament fee per club to help offset tournament costs. Clubs may pay using the PayPal link below. To make a payment by check or VenMo, see the registration section below. Clubs may also reach out to NERFU Treasurer Matt Mills.